Here at Casa M, we're definitely in the camp of belief that wrapping (just about) anything with bacon makes it better. It doesn't even have to be traditional bacon either, prosciutto and Canadian bacon also make that list (though the latter sometimes has situational eligibility). 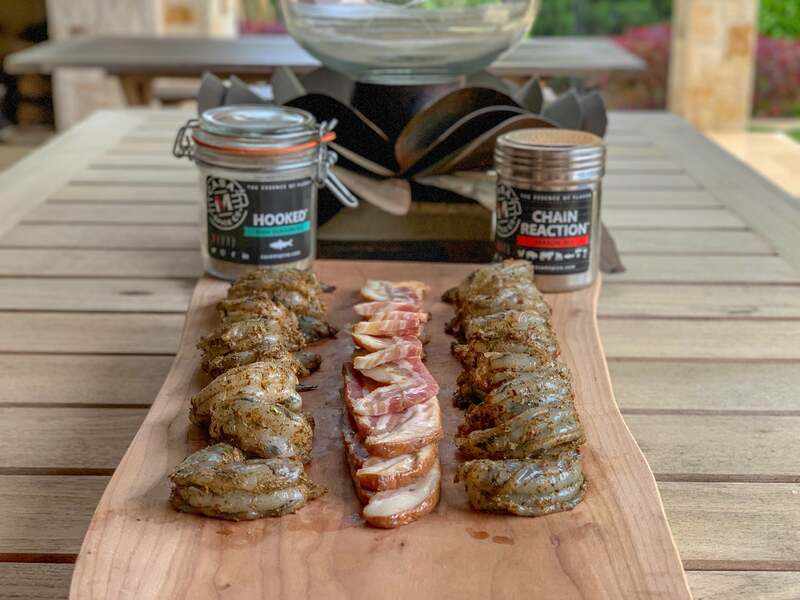 In this case, we pulled all the stops and got our hands on some ridiculously well smoked Benton's hickory smoked bacon to pair with jumbo shrimp that we seasoned with both our Chain Reaction® and Uncontrolled Hooked® blends. The results were incredible and irresistible. Please don't take our word for it either; this is something you should most definitely try at home. 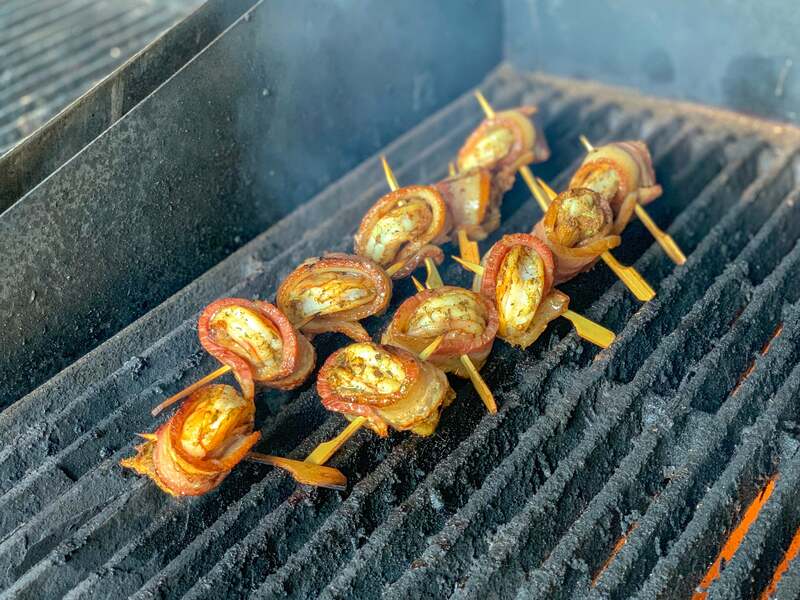 "Pro Tip," when skewering, think small; you want to get through both ends of the bacon to hold it in place, but more importantly, remember shrimp cook fast! 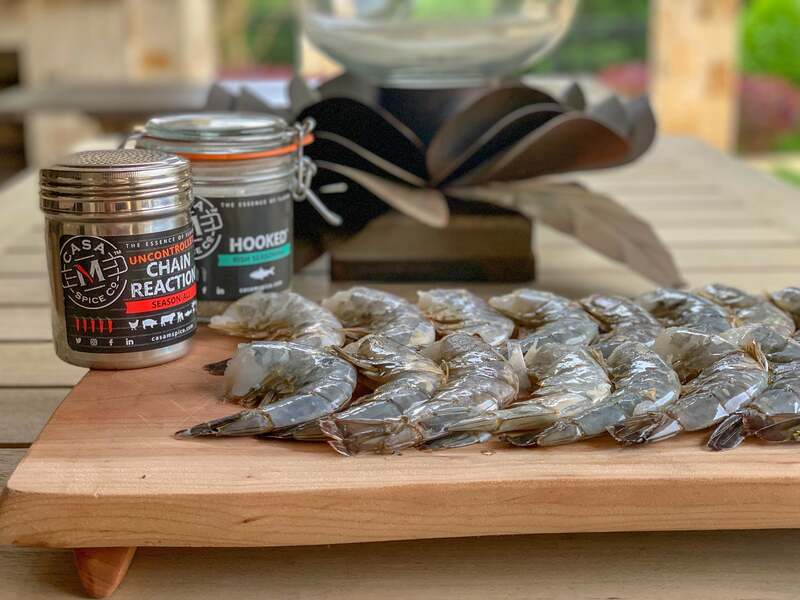 Skewer the shrimp on the big end and the small end to compress them as tight as possible and help ensure they cook evenly and at the same rate as the bacon. Clean, devein, and peel your shrimp. 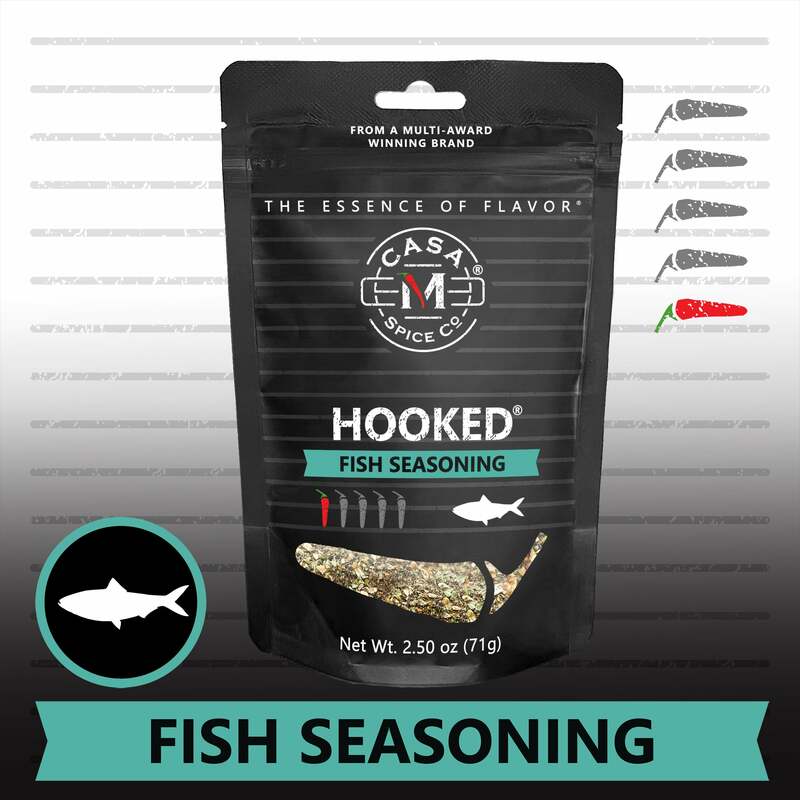 Place your shrimp into a large bowl and add the Chain Reaction® (to taste) and Hooked®. Using your hands, mix the shrimp to evenly distribute the seasonings. Compress each shrimp and wrap with bacon in a way such that you can skewer it tightly keeping the bacon and shrimp as tight as possible. Once all shrimp are skewered, put them on the grill over direct heat. Close the lid, but watch closely, these will cook quickly. Monitor both the shrimp and bacon. The bacon should be cooked through and the shrimp should be evenly orange. Flip the skewer(s) to keep cooking of both the bacon and shrimp even. Once finished (on our grill it took about 3 minutes per side), place skewers carefully on a platter and let sit to cool. Remove from skewers and be prepared for them to disappear in a blur of activity!